Studying the vast topics in all 3 subjects – Physics, Chemistry and Maths is not less than a humongous task. And to complete all this huge syllabus in 1 or 2 years, you need to study smart – concentrate on topics that are tough and have more weightage and let go of topics that are not needed at all. A huge disclaimer before we begin – JEE (Joint entrance exam) is a 50 – 50 shot at predictability. What does this mean? Even though there are topics that have less weightage from JEE standpoint, you still need to study them as you never know – You might end up getting an entire 10% of a subject from one of the least expected sections. So, do not waste a single moment of these 2 years of your JEE Preparation, study, solve problems, revise and most important of all – stay calm. Do you see what is common – everyone wants to focus just on the important topics and skip other topics. This is something you should try not to do – you must study all the topics in the syllabus and lay more stress on the important topics. These topics are classified as fundamentals in physics. You can expect 1 – 2 questions from this section on an actual JEE Paper. These 9 topics are absolutely important for JEE. You can expect twisted questions from these sections, so its very important you know your basics well and practice a hell lot! You can expect 2 – 3 questions from most of the topics listed below. Fluid Mechanics – Weightage: 2 – 5%. Bernoulli’s principle can be easily twisted to ask some tricky questions. Heat & Thermodynamics – Weightage: 6%. This is one topic that is very important for both Physics and Chemistry preparation in JEE. According to Pankhuri K (BIT Mesra, Architecture) concepts like SHM (Simple Harmonic Motion) were used even in her engineering studies. She also recommends watching tutorial videos for getting clearer conceptual understanding. And finally, here is a list of the topics that you should study atleast once and try to create cheat-sheets or flashcards to help your revise the formulas. You can expect 3 – 4 questions mix and match from the topics below. 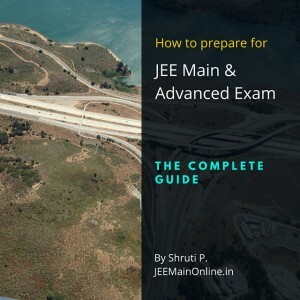 MeritNation Expert Payal Krishnan says that JEE Advanced has some different syllabus requirements from JEE Main and students should make sure they study all the topics and not skip things trying to do selective study. You can expect some more questions (mix and match) from the other topics in the syllabus. Mathematics is the foundation of complex engineering calculations. You must make your Math fundas strong if you want to pursue any engineering field out there be it Computer Science or Mechanical Engineering. One thing you must understand early on is that Math is one subject where you can master yourself only by more and more practice. Some Physics & Chemistry problems can be solved just by knowing formulae, but Maths – you gotta practice hard and practice smart! The JEE Syllabus for Maths has close to 15 chapters which you have to cover over a period of 2 years (Class 11 and Class 12). Unlike Physics or Chemistry, there is no such section that you could probably skip to concentrate on the important topics as in Maths, there is nothing called a very important or a less important topic. Everything is dependent on one another, so you will be better off practicing problems from all the 15 chapters in the Maths syllabus for JEE. These topics have been classified as fundamentals in Maths. You can expect 1 – 2 questions from these topics in the Maths section on your JEE paper. These 4 topics are important & easy and you should use them to your advantage to increase your JEE Math scores. Do not do silly mistakes from questions in these sections. Manoj Sharma (NIT Durgapur, Comp. Sci.) says “I used solve 3 – 4 questions daily from different topics so that I could keep myself in rhythm with all the topics before the actual JEE”. These 7 topics are absolutely important for JEE Maths. As it is, you can expect questions of varied difficulty from the topics in this section. For JEE Main 2019, 2 – 3 questions from most of the topics listed below are expected on the paper. 3-D Geometry – Weightage: 5% Questions from this topic are generally straight forward so you can solve them easily by reading the questions properly. Probability and Statistics – Weightage: 7%. I was weak in probability and paid the price for this. You should therefore try to familiarise yourself with various types of questions in Probability. There are 25 chapters (or topics) in the prescribed syllabus for Chemistry in JEE Main & Advanced. I was one of those students who was not a big fan of Chemistry but still managed to get a decent score. How? Well, Chemistry is one of those subjects which you can study selectively and still aim for a cent percent marks. This is because most of the concepts in Chemistry revolve around bond formation, breaking and the periodic table. So, if your fundamentals in these topics are rock-solid then your life will be so easy while you prepare for your JEE Main or advanced exam. Chemical Bonding & the periodic table – This is by far the most fundamental and the most important topics in Chemistry. If you can master Chemical Bonding and the properties of periodic table elements, then Chemistry will be an easy subject for you over many years to come. Chemical Bonding – Weightage: 5%. Like I mentioned earlier, Chemical Bonding and periodic table is one of the strongest pillars of your CHemistry conceptual understanding. You can easily get top ranks by making sure your concepts are crystal clear in this topic. I have left out the weightage values for some of the topics above as not many questions were seen from them in JEE papers in the last few years but that does not mean you skip them totally. Schedule your time effectively so that you can cover all these topics as well. Can u suggest me some of the best books I can refer??? Be perfect in any two subjects which are easy to you. Which book should i refer for theory chemistry class 12? Physics – b.m sharma for rotational dynamics and electromagnetism. Other all only hcv. Chemistry – r.k gupta for organic chemistry, P Bahadur for physical chemistry. For inorganic only boards text. Maths- m.l khanna. Best book for me. All suggested content is used by 69-79% iitians although nobody will tell you. The above books do not require teachers help. Can I apply both jee main and advance in same year? You can take any crash course to prepare. I know a website iitguide dot com which provides crash course with hd video lectures, online test series and question bank at a very low cost. You can go to website and register on the students portal. Could you please send me a copy of Jee Mains+Advance syllabus and chapterwise weightage in pdf format to my email? Can u tell in each chapter what all imp and send it by mail. There is gap of some 48 days between jee mains and advance ‛‚ please suggest some tips to study and about study plan during this time . Sir please tell me some important books for jee mains and advanced maths and chemistry …. For chemistry you can read ncert textbook line by line, and for maths you should buy cengage book. It has all concepts for jee mains and advanced with sufficient amount of practice questions and examples with solutions. By the way I am also preparing for jee mains and advanced 2017. Try to “Make you perfect” then you made better but if you practising for”better”then you are actually becoming “good”.so stay calm and hard. I am gonna complete my 12th in March 2016 and I have not prepared for JEE mains , so I am thinking to study 1 year only for JEE mains and write it on 2017 , but I heard that on October 2016 JEE mains and JEE advance are gonna change to NAT , how is it going to affect my gap between pre university and engineering . how i can prepare just in 3 months for jee main..what chapters i should do to get atleast good score in 3 months? I WASTED WHOLE YEAR AND NOW I WANT TO CRACK IIT JEE IN 1 YEAR ! Can I start reading now for the exam? Can you please guide me? Is this only for offline exam or i also can study for the online exam too??? In 2017 board exam is board marks weightage excluded from jee mains and advanced level? which book is perfect for preparation of physics in jee advance level? Is board marks weightage excluded from jee mains and advanced level in 2017? Which physics book is perfect for preparation of physics in jee advance level? Wt r the most imp topics in mathematics for jee mains??? to maintain good score in maths plz practice chapters like integrals,probability,vector algebra,trigonometry,circles,matrices,binomial,complex no’s&derivatives .by practicing these chapters u will conseed 53% in maths.Approximately.,70/120. what do they do in those foundation classes bcoz of which they can easily crack the question pattern and become victorious…. I strongly need ur advice about what to clear the fundamentals for jee…..
only 2 days are left and i had only studied 12th chapters but 11th syllabus is not clear to me….can i get 120 or above in jee mains 2016 plzz rply me fast .. Your Message… (*)how to Crack jee in one year. Am 2nd year now. Am nt perfect in first year. Please suggest me good books to Crack. which books I should study to score highest in Jee 2017.
is it possible to crack jee without any institute or tution??? Yupp bro.. Jee is all about concepts.. If u know how problems work.. Then u can.. I did cleared my jee on my own.. 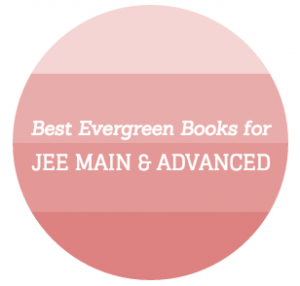 This is very very very helpful…..
can u give me the name of the best book to refer and prepare for jee . for maths chemistry physics.. I just cracked jee mains by my own.. Now its time for advance.. And i month is left.. Would u recommend me some gud books to prepare for advance which will help me to know the concepts and criteria.. I didnt prepare for mains and cleared but i know advance cant be cracked without preparing.. So tell me some gud books with easy language to help me out with concepts frm advance syllabus wise.. WHICH BOOKS SHOULD BE REFFER FOR PCM JEE 2017.? I scored 91 in jee mains and I m from SC category.. board % is 69 from SEBA board ..will I get a seat in any nit ? update me for preparation jee main 2017 & also cbse board exam.2017. and some competitor book like hc verma , cengage for maths …. I think always another book…..
how can prepare jee main exam in 6 months? I want qualify IIT .how can prapeyar for this.what are the Important chapter for 2017.
i am doing well in mains practice tests.i could not do so in advance exams.please advice me. 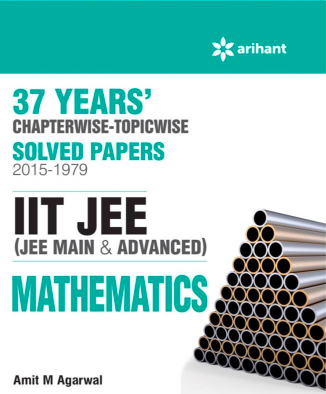 Maths – Arihant series is good. baaqi Chem ki organic chemistry aur inorganic chemistry ki books ki knowledge ni he meko Voh aap dekh lo. i’m going to write my exam in the year 2018 so please send me weightage and I amnt able to understand maths. Dekho Bhaiyo. Main IIT 2015-2016 rank 2 se personally Mila hu hum Chandigarh se hi he na. Usne kaha k IIT Wale yeh check krenge k tumne apne do saal ki knowledge Ko 9 ghnte mein kaise practically on the spot. Bs. How many problems we should have to practice daily in mathematics? Can i get a full fledge correct plan for studying for iit jee in 3 years? I’m a student of class IX in a CBSE school and I wish to get a good rank in IIT-JEE after my class XII.So should I start preparing for the same from right now….Please give me some tips…. I want to strong my organic chemistry which is the best book?? ? It is very very difficult but not impossible to get good rank in jee 2017 when u start preparing from first day of January 2017 my tip is chemistry is good scoring and somewhat easy to learn and after maths.In this also u should go with the most weightage topics at first and finally the easy score gaining topics in physics.But if u r really good in physics then three go with three subjects with equal importance.Your concentration,dedication,hardwork only leads to crack jee 2017.All the best bro.AND FINALLY U SHOULD BELIEVE IN YOURSELF….. It is very very difficult but not impossible to get good rank in jee 2017 when u start preparing from first day of January 2017 my tip is chemistry is good scoring and somewhat easy to learn and after maths.In this also u should go with the most weightage topics at first and finally the easy score gaining topics in physics.But if u r really good in physics then go with three subjects with equal importance.Your concentration,dedication,hardwork only leads to crack jee 2017.All the best bro.AND FINALLY U SHOULD BELIEVE IN YOURSELF…..
Help…me to get good score in jee mains 2017 …. I have started for jee mains 2k17 in month of January after a gap of 2 years, when I acquired the book, I was totally absent and there’s nothing that was known to me. How much maximum can I score.. Thanks for d info.Can I take its screenshots? I am only read my 12th class notebook and ALLEN institute material. I am study only 9 hours in a day. 3 hours physics 3 hrs che and 3 hrs math. hi mam …today 15th of march…according to changed objective exam pattern…first screening test will be in month of december or November…. i have completed my conceptual revision for class 11 …but no practice…i have i have nearly 8 months excluding unconditional leaves….so how i should start my preparation to complete my class 12 concept and 11 &12 class preparation. ? which books i firstly prefer….reply to my mail….advance thanks for sending me reply…. Is chemistry scoring or physics in mains? Sir. Can you people guide me JEE 2018. i.e one year preparation…..
Can anyone please update the following information for JEE 2018. How i should manage time in test?? Is the material provided by the coaching institute sufficient for practice for mains and advance ? It’s July 2017. I was loose with my studies last year but now i want to crack JEE-MAINS with good marks. How many hours should I study to achieve that and in what pattern? I always hear that to crack a competitive exam you need not only do hard work but also ‘smart study’. What exactly is ‘smart study’ and how can i do that if I want to crack JEE-MAINS by good marks in 8 months? This page was very helpful. Thank you.